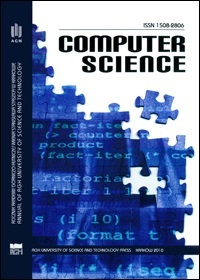 The Computer Science Journal (https://journals.agh.edu.pl/csci/) is published by the AGH University of Science and Technology, Krakow, Poland. The Editors of the Journal are members of the Faculty of Computer Science, Electronics and Telecommunications and the Faculty of Electrical Engineering, Automatics, Computer Science and Biomedical Engineering. The Editorial Board consists of many renowned researchers from all over the world. Original papers on theoretical and applied computer science problems are published. Example areas of interest are: theoretical aspects of computer science, pattern recognition and processing, evolutionary algorithms, neural networks, multi-agent systems, computer networks management, distributed, grid and cloud computing. Our journal is indexed by: Google Scholar, CrossRef metadata search, Directory of Open Access Journals, Open Archives Initiative, Digital Libraries Federation, BazTech, Index Copernicus, Ulrich's Periodicals Directory, EBSCOhost Applied Sciences, DBLP, ERIH PLUS and SCOPUS and Emerging Sources Citation Index - part of Clarivate Web of Science. We congratulate our Colleague, Dr. Bartosz Balis who has just obtained habilitation degree in computer science. All the best ! The winners of the 35th Competition of Master's Theses PTI (2017/18): Michał Krok (III prize) and Bartłomiej Grochal (distinction). Congratulations to laureates and Promoter: Katarzyna Rycerz,Ph.D. !